Nike Repel fabric resists light rain and wind. Structured hood packs away when not needed. Dropped back hem with adjustable drawcords provides extended coverage. Hook-and-loop closures on the sleeves can be used to adjust cuff size. Zippered hand pockets provide secure storage. Full-front zipper for easy on and off. 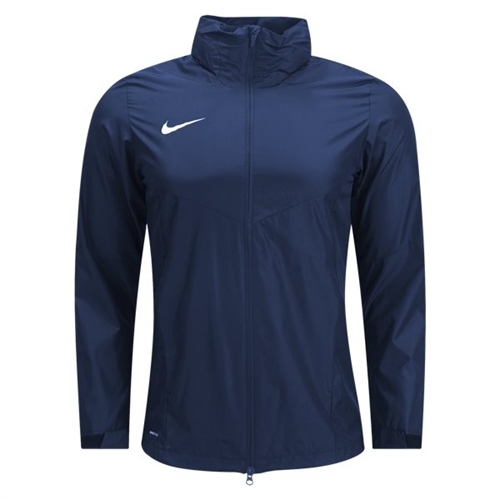 Our Nike Academy 18 Rain Jacket with Nike Repel fabric that resists light rain and wind. 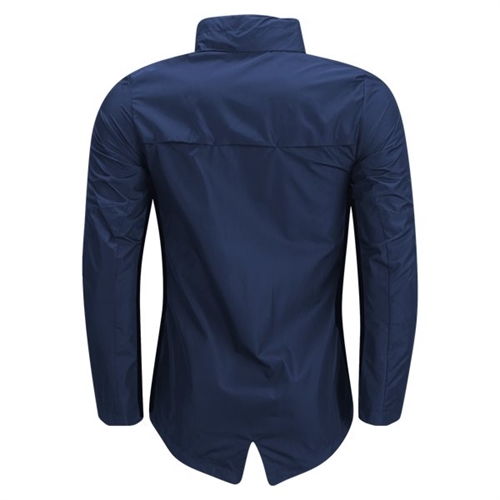 Its packable hood and adjustable hem, both with draw cords, ensure you get the coverage and fit you need.